Hey, here's some very important "Skyfall", the latest James Bond film, news coming in. First, Michael G. Wilson and Barbara Broccoli, producers of said film, announced that His Royal Highness Prince Charles and The Duchess of Cornwall have graciously agreed to attend the World Premiere of the twenty-third 007 adventure on October 23 at The Royal Albert Hall in London. The premiere will benefit the charities that support former and serving members of the three intelligence agencies (the Secret Intelligence Service, the Security Service and GCHQ). Of course, the premiere will be attended by the film’s leading actors Daniel Craig, Judi Dench, Ralph Fiennes, the director Sam Mendes and the other supporting cast. Second, two significantly different versions of "Skyfall" posters have been revealed and it's a tussle between the Americans and the British. 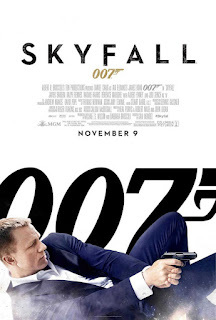 The hometown version shows a tuxedo-clad Daniel Craig on his feet while the US art has the actor shooting on his back. Who do you think got the better version? And what about an Asian one right? Anyway, you can catch the exclusive posters after the break. 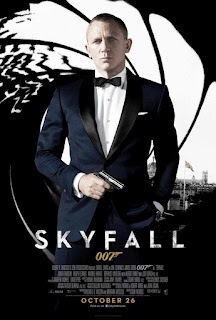 Opening across the Philippines on October 31, “Skyfall” is distributed by Columbia Pictures, local office of Sony Pictures Releasing International.